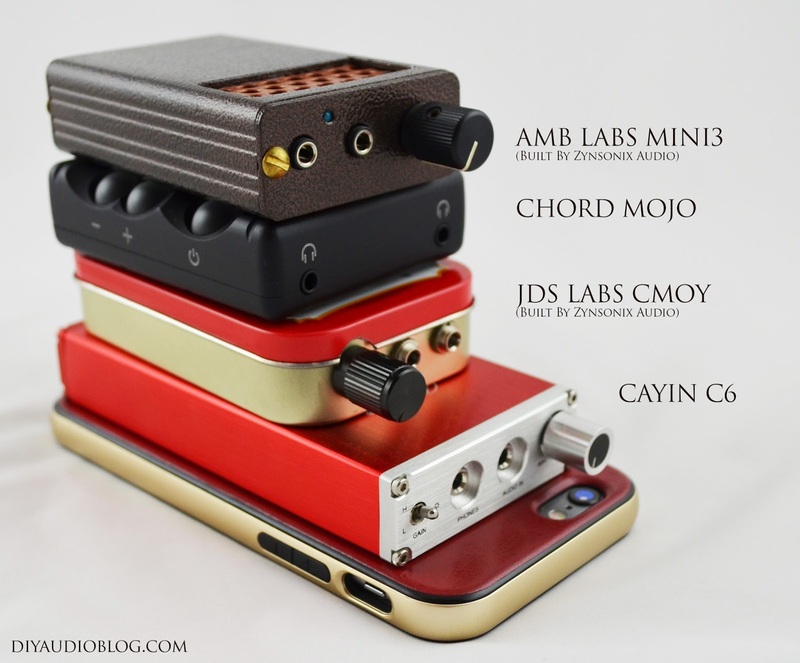 If you've been an audio enthusiast for very long, you've no doubt heard of Chord Electronics, a plucky U.K.-based audio company known not only for their great sounding devices, but wildly creative chassis designs. They're much more playful than the typical stoic aluminum rectangles we're all used to seeing stacked on shelves at the local A/V retailer (why did that become a trend in the first place? Boring!). While you may have known Chord, you probably realized that their wares were a little pricey for the student or cost-conscious audiophile. In a shrewd business decision, Chord decided to make a device that was much more financially accessible, the Mojo. The Mojo is the Hugo's little brother, hitting the streets in 2015 and has been wildly successful, and is still pleasingly made in England. The Mojo is a sweet little palm-able device that decodes a digital signal and acts as a headphone amp. It makes a nice companion for audio enthusiasts who are on the go with their Samsung or Apple phones listening on Tidal or whatever format their heart desires. For the record, I love Tidal, if you can get over that they only have about 80% of Spotify's library and understand the playlist game isn't too hot, the quality is surprisingly excellent and well worth the price of admission. For the inputs, there is a mini coaxial, full size optical, micro USB for charging, and micro USB for music input. Both the coaxial and USB inputs can accept PCM up to 32bit/768kHz and DSD up to DSD256. The optical can go up to PCM 24bit/192kHz, but no DSD. One important thing to note for Apple users, you will need an Apple Lightning to USB camera adapter to use this device. Chord didn't want to share their proprietary internal technology with Apple, which I don't blame them, but because of that you're stuck with the camera adapter and then a USB to USB micro cable too, a little unwieldy at times for portable duty, but a Chord module is supposed to be forthcoming which remedies this. 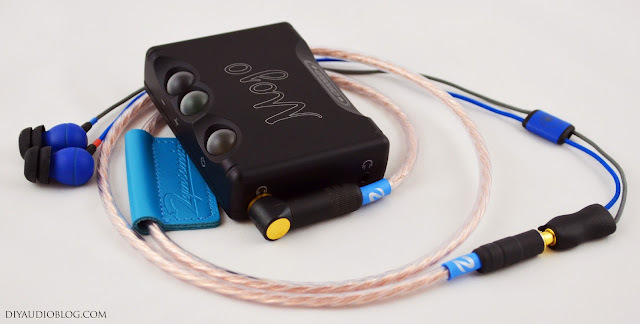 For the outputs, a somewhat surprising choice considering the glut of balanced headphone amps out there, the Mojo has two 3.5mm mini outputs, one for you and one for a friend. I'm a bit disappointed about this as 3.5mm mini connectors are known to lose their internal "springiness" over time and you end up with a static-y/spotty connection. A friend of mine here in Baltimore just learned this lesson the hard way with his $3K Astell and Kern. I'd hate to discover what the cost to replace those jacks are. I do understand Chord wanted to sell this to the largest audience possible, so it was a good business decision. I haven't opened the Mojo up yet, but it might be an easy drop in replacement, who knows. Most mini jacks tend to follow the same solder patterns. The output on these little 3.5mm minis is 35mW @ 600 Ohms, and a solid 720mW @ 8 Ohms. Output impedance is 0.075 Ohms. You may be wondering the size, the unit is roughly 3 1/4" x 2 1/3" x 1". It has a nice weight, the weight of perceived quality, being what appears to be thickly milled aluminum, or as the Brits say, aluminium. I've lined up a number of portable amps here to give you an idea of size. AS you can see, it's a little smaller than an Altoids tin. One of the most pleasing things about the unit is the haptics, where you interact with the unit using three little translucent globes. The globes can be spun about, but will only respond when pressed down. They control the power, volume, and you can also use them in combination to adjust brightness level of the LEDs behind them, etc. If you're like myself, you will spin the globes around mindlessly while getting lost in the magical sound reproduction. So with all the boring stuff out of the way, how does it sound? That's really all that matters, right? You'll be pleased to know that the Chord sounds very impressive. I rarely recommend audio gear unless I feel that it's going to sound really good to most people, and I have no problem recommending the Chord Mojo. Listening on both the Audeze LCD-X and the Cardas A8 Ear Speakers, both with Zynsonix Ballista cables, the sound has a very appropriate level of detail. There's zero instance of fatigue, and has a nice warmth about it that allows it to get along with most headphones, even slightly forward ones. There is no sign of graininess, the presentation is full, but mildly restrained in the bass. Compared to the Cayin C6, another DAC/amp combo that's about 30% larger, the Chord outclassed it without much effort. The C6 is more of a giver with the bass, but that's to be expected, it drains it's battery quite quickly. The sound however has more grain, a slight shrillness in the upper midrange not present with the Chord, a more compressed soundstage, and less syrupy smoothness that makes the Mojo so pleasant to listen to. Not to say the C6 is a stinker, it's quite good and much better sounding than the iPhone's headphone output, but there's a solid 10-15% increase in relative quality with the Mojo. Should I buy a Chord Mojo? If you enjoy listening to music from your phone while travelling, spending $600 isn't going to agitate your significant other, and can get over the two cable adapters (with iPhone) and lack of balanced outputs, the Chord Mojo is a great purchase that you won't regret. I would encourage you to purchase a right angle Zynsonix headphone cable to reduce the stress on your 3.5mm jacks so they last longer, and you'll get better sound while you're at it. DIY Audio Blog does not have any affiliation with Chord Electronics Limited and did not receive any compensation and/or complementary review units for this review. Hi there, Zynsonix does a lot of custom work and not everything is listed on the site. Simply visit www.zynsonix.com and use the contact form there. The Chord actually isn't balanced, it has two single-ended outputs. The right-angle plug just plugs into the unit at a right angle to prevent stress on the connector. Well... there would be no benefit, you'd be referencing the same ground (negative) and getting one signal from each side. It would sound the same. Perhaps if Chord releases an updated Mojo they will elect for balanced (hopefully). "The C6 is more of a giver with the bass, but that's to be expected, it drains it's battery quite quickly. The sound however has more grain, a slight shrillness in the upper midrange not present with the Chord, a more compressed soundstage, and less syrupy smoothness that makes the Mojo so pleasant to listen to. Not to say the C6 is a stinker, it's quite good and much better sounding than the iPhone's headphone output, but there's a solid 10-15% increase in relative quality with the Mojo." Did you blind test this?